Hampshire all-rounder Liam Dawson has been recalled from his one-month loan at Essex after just 12 days. Dawson played four games for Essex, two in County Championship Division Two and two in the T20 Blast South Group. He scored 99 batting as an opener to help Essex to a 248-run win against Glamorgan in the Championship. The 25-year-old had said he was enjoying the move after finding himself left out of Hampshire's four-day side last month. 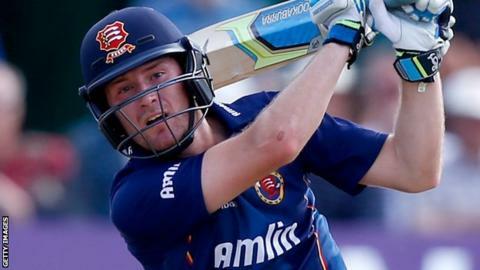 "We're disappointed to lose Liam, but we totally understand the reasons," Essex head coach Paul Grayson said. "In the short time with us, it was hopefully good for his form and he made a good contribution for us as well. "We wish him all the best for the rest of the season."